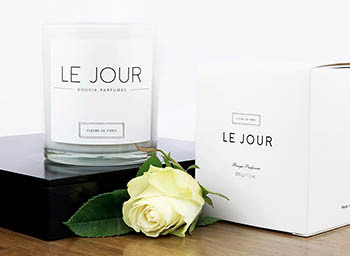 The new FLEURS DE PARIS Candle Collection consists of three unique fragrances, each reflecting the French way of life in their own way. 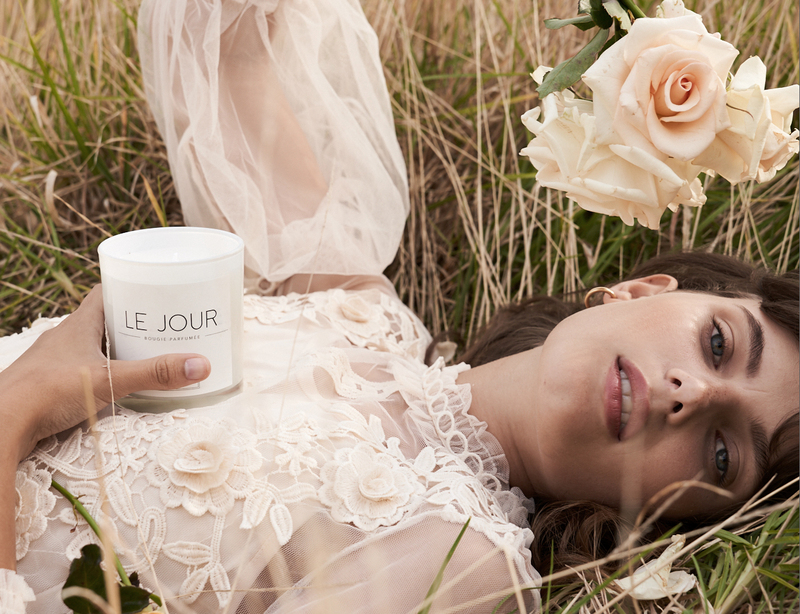 All candle scents are based on various rose oils and were produced in collaboration with perfumers in Grasse, France. Quantity per candle: 200g / 7.0 oz. or 70g / 2.5 oz. within the USA and Canada (express delivery). Express delivery from Monday to Friday. No delivery on Saturday. Delivery incl. Customs Duties. 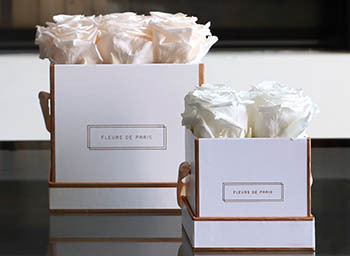 As creator of high quality and long lasting rose arrangements it was a natural step for FLEURS DE PARIS to move into the area of home fragrances. 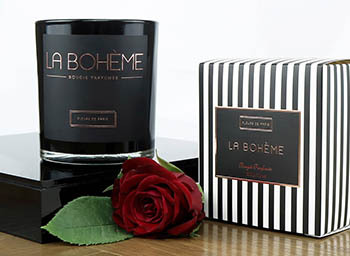 The candles are - similar to our flower arrangements - a product that reflects the French lifestyle. French women know how to appreciate the little things in life and they have an eye for luxury - even in everyday life.“ explains Viktoria Frister, founder of FLEURS DE PARIS, who has lived in the French capital herself for a few years. 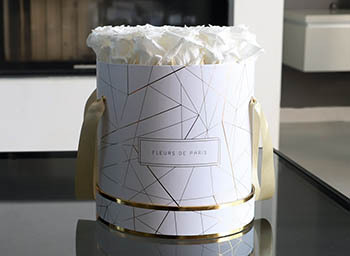 The new FLEURS DE PARIS Candle Collection consists of three unique fragrances, each one reflecting the French lifestyle in its own way. The candle scents are based on roses and contain up to 30 further essences. 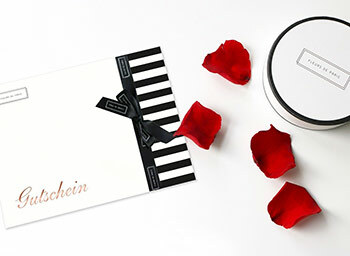 The fragrances for the candles were created in collaboration with perfumers in Grasse, the French capital of perfume. 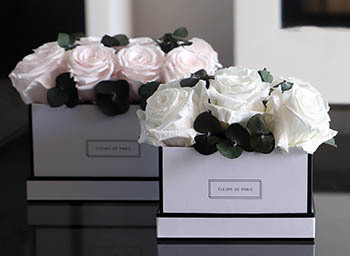 Not only do they make a beautiful gift, but they also go perfectly with the brand’s rose arrangements in French inspired hat boxes. 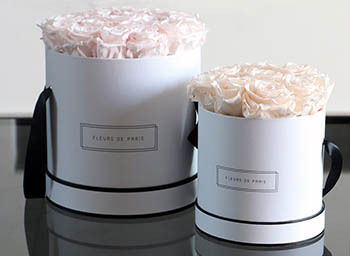 The design of the candles is - typical FLEURS DE PARIS - held in a monochrome style with details in rosegold. 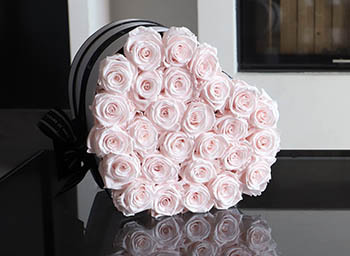 Especially in combination with a rose arrangement, these candles make a glamorous eye catcher on every coffee table. A luxurious oriental scent opening with top notes of roses and sparkling green tea. A warm heart blends exotic woods, vanilla and bracing ginger whilst the lavish base supports with woody accents of oudh and vetivert. A delicate rose scent opening up on fresh bergamot and goji-berry. A soft base blends notes of moss, musk and ambery woods. A classic and elegant scent enhanced with accents of raspberry, pink pepper and saffron. A base of rich woods with amber and musk complete the scent. 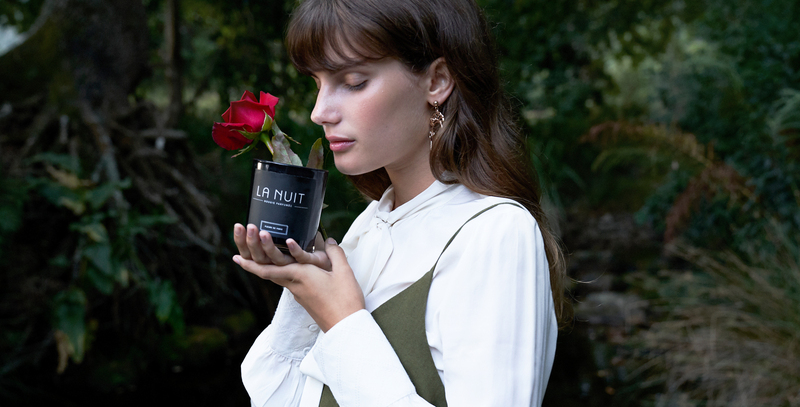 The new FLEURS DE PARIS Candle Collection consists of three unique fragrances, each reflecting the French way of life in their own way. 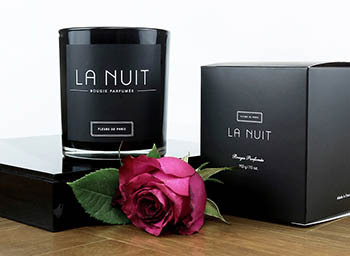 All candle scents are based on various rose oils and were produced in collaboration with perfumers in Grasse, France.